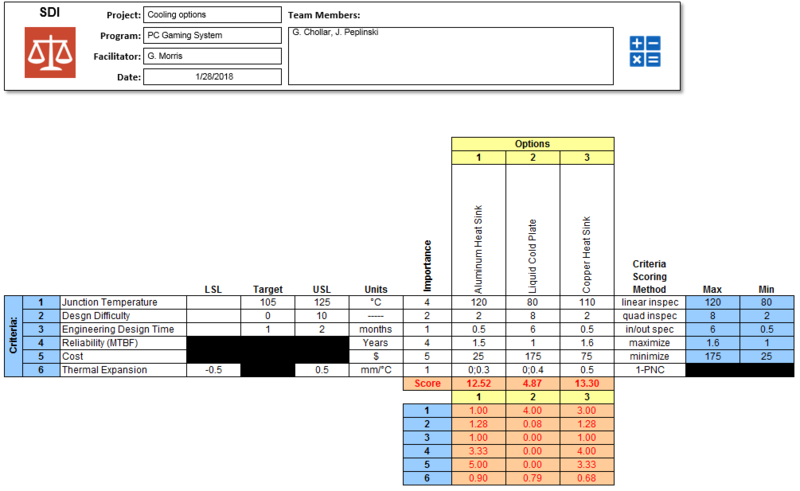 Rate and rank multiple user-defined design options against multiple user-defined criteria using a quantitative approach. 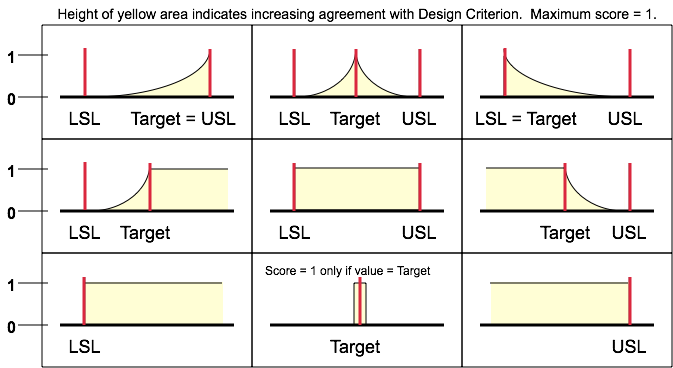 SDI's approach to design trade-off is to evaluate how well the Design Option meets each Design Criterion by performing detailed, quantitative comparisons. 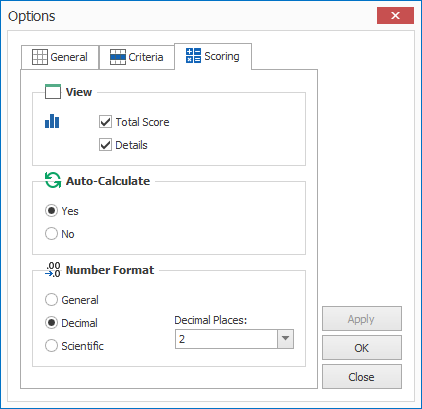 The Total Score for each Design Option is calculated as the weighted sum of each Design Option Score per Design Criterion. 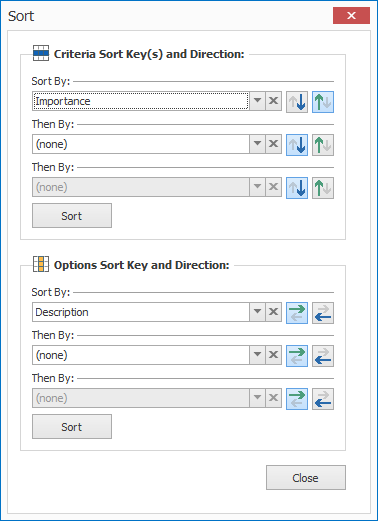 The Design Option with the highest score is the chosen as the "best" Option that comes closest to satisfying all the Design Criteria. 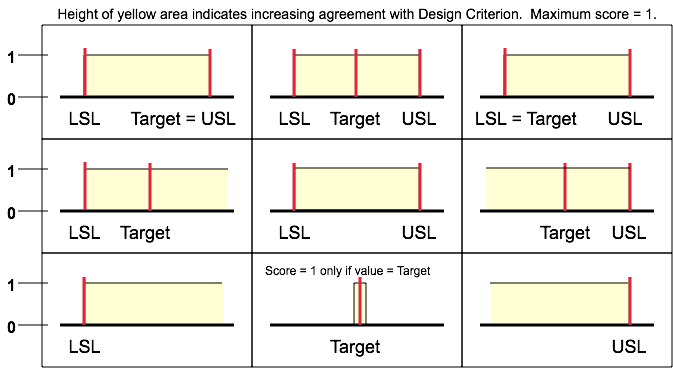 In many cases, Design Criteria are conflicting, so there may be cases where the "best" Design Option exceeds the bounds of one or more the Design Criteria. The basic concept of this method is that the selected Design Options should provide benefit (value) or compliance with respect to the Criteria (stated as specifications). 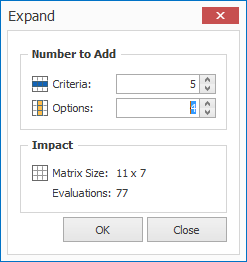 A composite weighted sum score is computed for each Design Option based on scoring method selected for each Criteria. 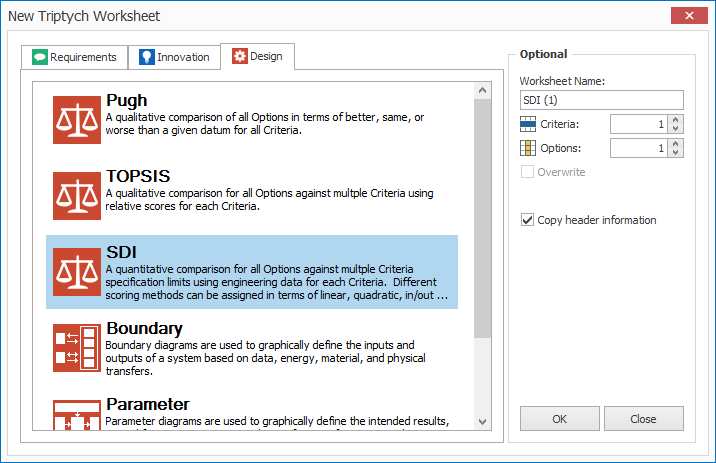 The SDI Method is a quantitative approach based on Multi-Attribute Value Analysis concepts for aggregating a preference over conflicting Criteria to find the Design Option with the highest value when all Criteria are considered. 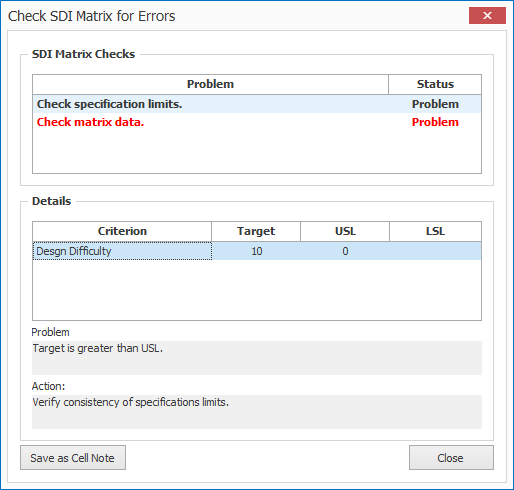 Specify how many Criteria and Options are in the matrix when the SDI worksheet is created.